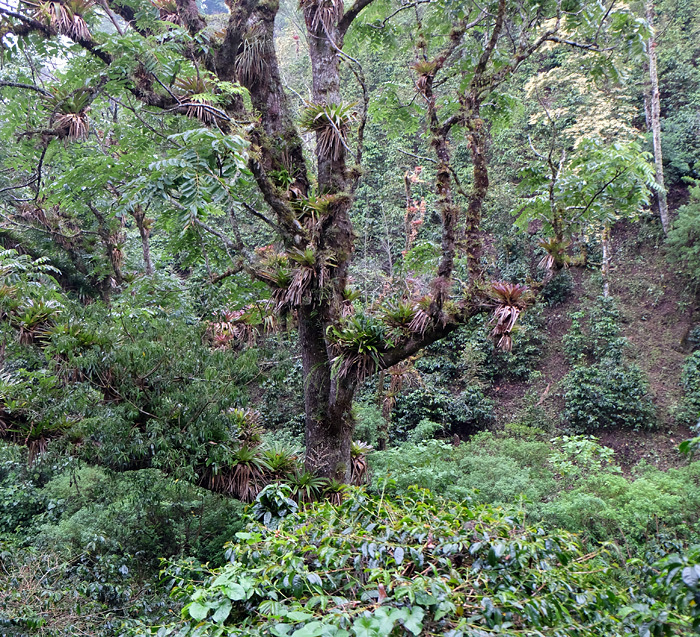 Sorry, we are currently sold out of 'Panama Don Julian Geisha Natural'. Please check back later. This lot is 100% Geisha, an heirloom varietal from Ethiopia that produces a blue-green elongated coffee bean that is especially aromatic and floral. Price Peterson, who owns Hacienda Esmeralda in Panama, experimented by planting it some years ago along with a broader group of varietals. The result was the rediscovery of a great cultivar with extreme fruitiness and floral scents and flavors, but with balance and finesse not seen in other coffees. Coffee farmers in other countries soon followed suit, and the varietal regularly takes home awards in Cup of Excellence competitions held throughout the world. It is a natural processed coffee, a brief explaination of which is required to understand the terminology. Since the advent of micro milling machines, most notably that developed by Penagos in Colombia, small farms have the ability to process their own coffee for a somewhat modest cost of entry. These machines use pressurized water mist to strip away the outer skin of the coffee cherry, and can remove pulp (the fruit surrounding the coffee husk) to a fine tolerance, leaving selective amounts of pulp to dry on the husk. When all the pulp is removed it is fully washed. When a tiny amount remains, it is called yellow honey; when a little more remains it is considered red honey, and a lot remaining is black honey. Neither the skin nor the pulp being removed results in a natural processed coffee (like this one). Cup Characteristics: Delicate, medium fruit penetration. Flavors of milk chocolate, walnut, tamarind, blackberry, plum and peach. A well balanced cup. Roasting Notes: Like most dense, hard bean and delicate coffees, we always suggest keeping it to the lighter roast side, maybe midway between first and second crack. This maximizes nuances, in this case the sweet acidity and floral Geisha notes that further roasting will diminish.